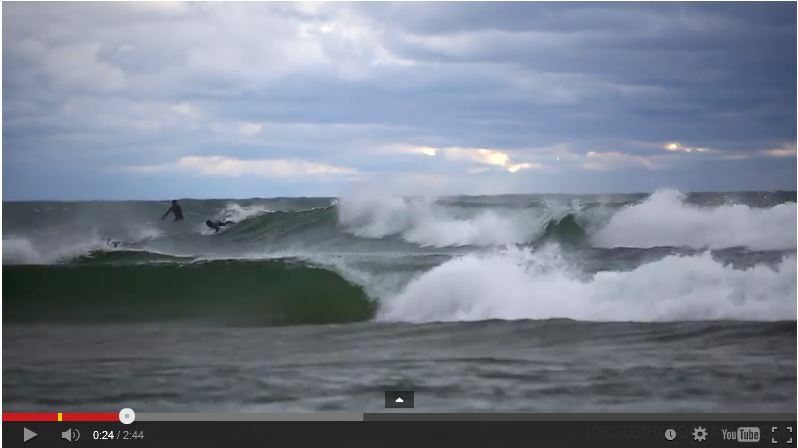 Check out this Lake Michigan surfing video from Joe Gee Photography. I learned about the video when Joe informed me in a comment on Muskegon Surf Cam that he was out taking photos during that big Halloween wind storm. The north wind was blowing up to 50 knots along the shoreline but was lighter in Muskegon and side-off shore. This made for some of the nicest surf I’ve seen on Lake Michigan in a long time. Bill, Excellent video from Grand Haven! Thanks for putting that together it’s so great to see people catching nice rides on Lake Michigan. I’ll post on the front page so that more people can enjoy.